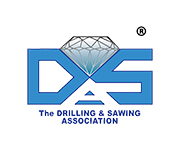 LISSMAC will be present at the Hall A1, Booth number 249 and it is Gold sponsor of IACDS networking event and Diamond Award ceremony in BAUMA 2019. LISSMAC stands for innovation, experience, and quality. The company optimizes its customers’ work with innovative solutions on a daily basis. The company offers a comprehensive range of products and services to meet the highest demands of its customers in construction and industry. From individual machines produced in series to custom manufactured special systems, it provides superior system solutions from a single source. LISSMAC products are distinguished by their high-quality workmanship, extreme ruggedness, compact design, and ergonomic and user-friendly operation. The company give its best for its customers and analyze their needs with the utmost diligence and appreciation. LISSMAC supports its customers throughout the entire life cycle of its systems and delivers economic solutions for utmost customer satisfaction. As a global system supplier for professional construction machinery, LISSMAC closely cooperates with renowned stone producers, construction equipment suppliers and equipment rental companies. 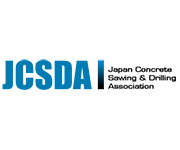 The company offers the entire portfolio from cut-off technology for civil engineering, to handling systems for modern masonry, as well as high-quality diamond tools, up to products for renovation and demolition.